Are you facing a plumbing emergency in York region? Call M.A.C. 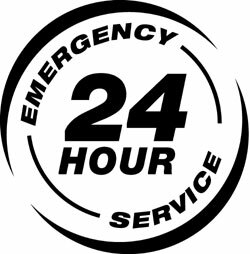 Stewart Plumbing at (705)7335154 and get immediate 24-hour emergency repair services today! Even the best plumbing systems that receive regular maintenance will eventually develop some type of issue. For the most part, these issues come about when we least expect them. Problems such as clogged drains, leaking pipes, low water pressure, and non-functioning toilets, can spring about at a moments notice. As you’re facing these issues, you also have to worry about finding a reputable and professional plumbing expert who will help you. If you are in York Region, ON. or the surrounding areas, look no further than M.A.C. Stewart Plumbing. Our expert staff is on call 24/7 ready to remedy any plumbing issue that may be damaging your home. While we know many of our customers prefer to take the DIY approach, when it comes to a plumbing emergency, this is never the best course of action. Because many of the situations that are labeled plumbing emergencies are intertwined with the rest of your plumbing system, attempting to repair them without the proper knowledge could cause further damage. Additionally, with the services we perform, we offer warranties for the labor. When you perform them yourself the only guarantee you have is that you attempted the repairs yourself. Before allowing yourself to become stressed about repair services, trust in the expert technicians from M.A.C. Stewart Plumbing. We guarantee your satisfaction 100%.